Contemporary-Mountain Style Condo. This is a fully-equipped luxury vacation rental. 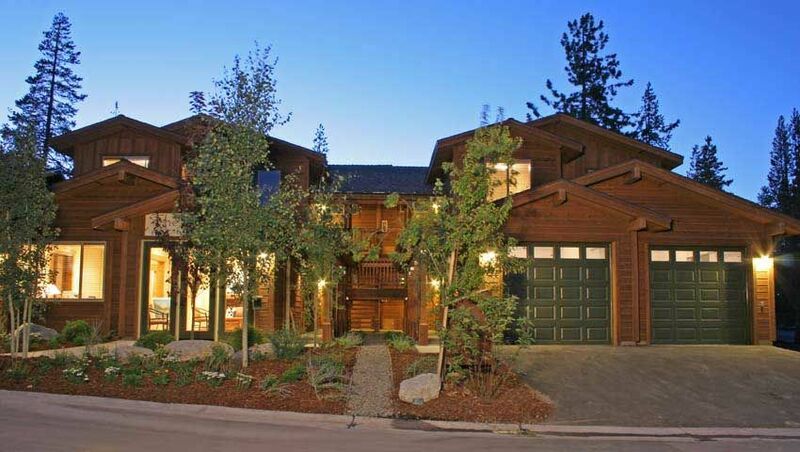 Beautifully appointed 3 bedroom / 2 bath condo located in historical Truckee, CA. Nicely decorated with gourmet kitchen and lots of upgrades - you will fall in love with this cozy mountain retreat. - Hot Tub, Seasonal Pool & Workout Facility **Please note: Due to the heavy snowfall in the area access to the hot tub, pool and the workout facility may be impacted/restricted. you will fall in love with this charming retreat! The historic town of Truckee has become a haven for all those who love the outdoors. With activities ranging from fly-fishing, world-class mountain biking and climbing, white water rafting, excellent hiking, horseback riding and numerous golf courses the summer is packed with things to do. In winter, this little mountain town is teeming with those who hound the powder. Hot Tub is at the community area near the seasonal pool and workout area. We loved our stay! We had to be central to Squaw, Northstar and Sugar Bowl for a long weekend of ski races, and the location could not have been any better. Grocery store, pharmacy and Starbucks are at the adjacent plaza. We stayed for 5 nights, and ate in most of the time. On our off day, kids played on the hill behind the building, and I didn’t even have to be outside because I can see them from the balcony (close enough for them to throw snowballs at me!). WiFi didn’t work initially but the owners responded to my text right away (rebooted the router.. should’ve thought of that before... duh..). The profile photo is not of the actual unit, and the house numbers are very difficult to see at night. I can see that the flights of stairs and passing trains may be a nuisance, but did not bother us at all. Would definitely consider staying here again, and take advantage of the clubhouse/pool during the summer. Thank you!!! Thank you for your comments. We are so pleased you enjoyed our place. I would like to take a moment and address your comments regarding the WIFI and lock. The WIFi password has been the same for the last 5 years and is case sensitive. As with all passwords they needs to be entered exactly as displayed by the end user. The instructions for the lock are downloaded directly from the user manual. I have double checked and the WIFI and lock are functioning correctly. Thank you! My only complaint is that I felt like I was staying in a friend's condo in that the master closet was filled with the owners things, there were baby toys in the bathroom, the drawers/cabinets had the owners' toiletries in them, and there was even a photo on the dresser in the Master of the owners. If you're going to rent your home out to strangers, it seems to me that you should have a couple of closets where you lock away all of your crap not leave it out to share with guests paying $470/night (average with cleaning, tax, fees for 2 nights). Other than that, the condo was clean and well equipped and has a great hot tub in the club house. Thank you for your comments. You are correct we have a very well equipped and furnished condo with something for all types of renters (families, singles, and couples). We have thoughtfully stocked our condo with games for adults and children (dice games/board games), toys for small children, books for bedtime reading, towels for the hot tub and general kitchen supplies/essentials. Our condo is unsuitable as a "party house" and we ask all guests to follow our house rules - no smoking, no parties, and no pets. Your stay was over a holiday weekend and was at a fair market rate. We are delighted to hear you enjoyed our condo's great location and amenities. Well equipped, cozy condo with a beautiful view off the back porch. Good central location for all the activities around Truckee, Lake Tahoe, Donner Lake, etc. My husband and I traveled from Wisconsin to visit our daughter and had a great week hiking and touring the beautiful Sierra Nevada mountains. The place was very well accommodated, and the owener was so caring. the place is located near a big shopping mall and restaurants, was very convevient. We stayed at 3rd floor, 3 bed rooms with 2 baths, ver spacious for 2 people. It could be spacious enough for a family with 2- 3 children. We enjoyed our stay. Condo well equipped. Unfortunately it was on 2nd floor with no elevator making getting there was semi-difficult due to fire smoke , altitude, and age of guests. There were no "renter guidelines" which could be helpful. Alsi VRBO did not provide any info. Luckily, the owner was availabe to get us in.